In 2002, Paul Sarbanes, a Democratic Senator from Maryland, and Michael Garver Oxley, a Republican Congressman from Ohio serving in the House of Representatives, each introduced bills in their respective bodies that would result in legislation that would later bear their name. The Sarbanes-Oxley Act of 2002 passed both houses by overwhelming margins; 423 to 3 in the House and 99 to 0 in the Senate. On July 30, 2002, President George W. Bush signed it into law. Both Sarbanes and Oxley retired from office the same year, deciding not to run in the 2006 election. Here are short bios of each sponsor. Paul Spyros Sarbanes (born February 3, 1933), Democrat, represented the state of Maryland in the United States Senate for thirty yearst. In 2002, Sarbanes was the Senate sponsor of the Sarbanes-Oxley Act of 2002. (The sponsor from the House of Representatives was Michael Oxley, a Republican from Ohio.) 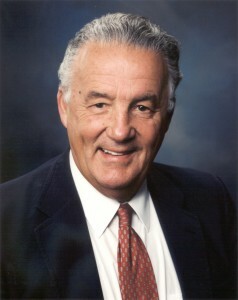 Sarbanes was the longest-serving senator in Maryland history; he served from 1977 until 2007. He did not seek re-election in 2006. His seat was won by Democrat Ben Cardin. Sarbanes began his political career in 1966 when he was elected to the Maryland House of Delegates. During his term as a State delegate he served on the Judiciary and the Ways and Means Committees. He was elected to the United States House of Representatives in 1970 from the fourth district of Maryland and was reelected in 1972 and 1974 from the third district. During his time in the House, Sarbanes served on the Judiciary Committee, the Merchant Marine and Fisheries Committee, and the Select Committee on House Reorganization. In August 1974 Sarbanes was selected by the House Watergate Committee to introduce the first Article of Impeachment against President Richard Nixon. In 1976 Sarbanes was elected to the United States Senate. Michael Garver Oxley (born February 11, 1944), Republican, represented the 4th congressional district of Ohio in the U.S. House of Representatives. Oxley served as the chairman of the Committee on Financial Services and was House sponsor of the Sarbanes-Oxley Act of 2002. (The Senate sponsor was Paul Sarbanes, a Democrat from Maryland.) In 2005, Oxley announced his retirement from Congress, effective at the end of his term in 2007. He was succeeded by Republican Jim Jordan. Oxley worked for the Federal Bureau of Investigation from 1969 to 1972 and became active in the Ohio Republican Party. He was elected a U.S. Representative in 1981 in a special election due to the death of U.S. Representative Tennyson Guyer.